"Personal, outgoing and honest. He runs a tight ship and you should not expect less from a professional". "What was most impressive was that his attention to detail carried through". "His customer service and positive energy were evident the entire time he was with us". "He is very energetic and eccentric, which translates to beautiful work". If I had one word to describe Michel, it would be PASSIONATE". "I love his type A personality". Some of the beautiful words from our wonderful wedding clients. Thank you. 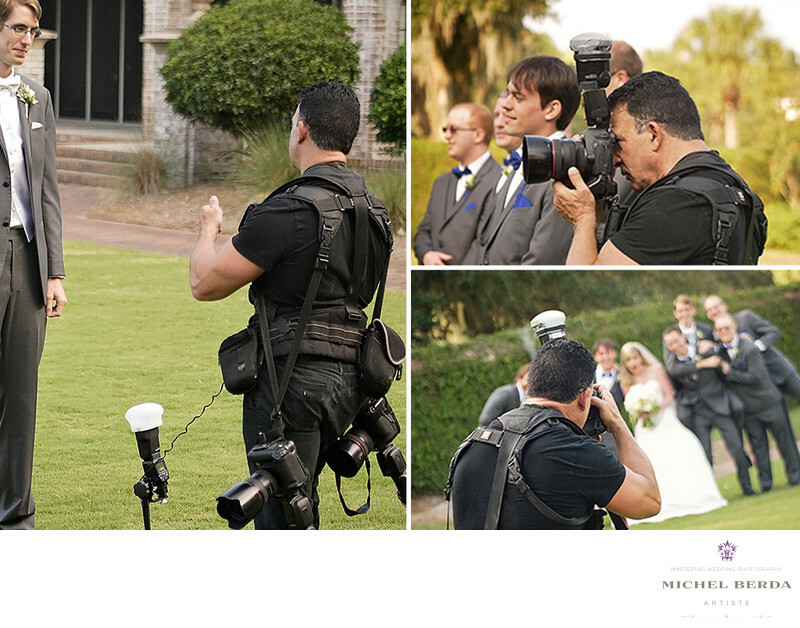 I am happy and honored to say that I am a wedding photographer, a true storyteller in our HolyCity of Charleston, SC. Every client wedding is very different for me. Each has the same purpose of unity, however in documenting with my very artistic side is what makes me different than most Charleston, SC wedding photographers. My mission & vision is always the same. I believe it is the connection between capturing the wedding images that unfold, the artistry, the quality not quantity, the romance, the love, the relationship between the heart of the image maker, and the camera, the story that must be told by creating a lifetime of so memorable compelling wedding images that each client will cherish forever. People ask me all the time, what I do for a living? I respond I own King Street Photo Weddings, I am so blessed and honored to be an image maker, I capture joyful, emotional, people at weddings, for all of my fantastic wedding clients. Of equal Joy, I am a very proud and blessed father, being very grateful for having two amazing daughters, Chloe & Courtney. My love for photography career began at age 16, working for a photographic retail store learning about the actual photography equipment, developing black and white in the darkroom, processing C41 color negatives, clients relations, sales for almost 3 years in Maui, Hawaii. But it was in Los Angeles, California that I truly learned the craft in capturing photography understanding both studio and ambient lighting, also adding strobes for location photography to create those special effects, while assisting as an apprentice with the best fashion and celebrity photographers. I also continue learning at workshops and at trade shows from all of the past and current mentors. In 1985 I took my craft to South Carolina, first in Myrtle Beach, then Charleston, SC which I have called home for the last 33 years! My passion for the art of wedding photography began here in Charleston, SC in 1994 with a small retail photography shop located on King Street called King Street Photo. But only just five years later, I received that memorable phone call, from Tally Attaway, the city's top wedding coordinator planner when asked me to photograph one of her affluent client weddings – it seems that her client was looking for a wedding photographer that had a fashion style while incorporating the backgrounds memories of this Holy City of ours Charleston SC. I agreed and they adored the results. Shortly after that wedding, I was the busiest wedding photographer in Charleston, SC and had the pleasure of capturing more than 125 wedding in that year alone. Since then, I have incorporated this style of capturing moments into every wedding that I have photographed – taking clients out of the standard studio environment, church or reception to the outdoors of Charleston's historic style and amazing backgrounds. 19 great years have gone by, over five hundred weddings + have been captured by me and this remains my love and passion. I am grateful and very thankful to every single wedding client of whom have given me this huge honor and privilege to capture their special day. Also, I could have never accomplished this without the pleasure of working with the comradery of hundreds of great wedding vendors from across the Lowcountry here in Charleston, South Carolina. I am delighted to say that I am known by my peers, I say thank you to them as “One of the best image maker wedding photographers in the world.” I am honored that my images have been published in the Knot, Real Wedding, Destination Weddings & Honeymoon, Studio Design, Wedding & Honeymoons, Grace Ormonde, and Wedding Unveiled, Carolina bride, Hilton Head Monthly, Charleston Wedding Magazine, Charleston Style & Design Magazine just to name a few. Just recently, I received the 2018 pick of The Knot Best Of Weddings that I also received back in 2015 as well. I am also the recipient of the 2011-2015 USCA "Best of Local Business" Award Program which recognizes outstanding local businesses throughout the country. 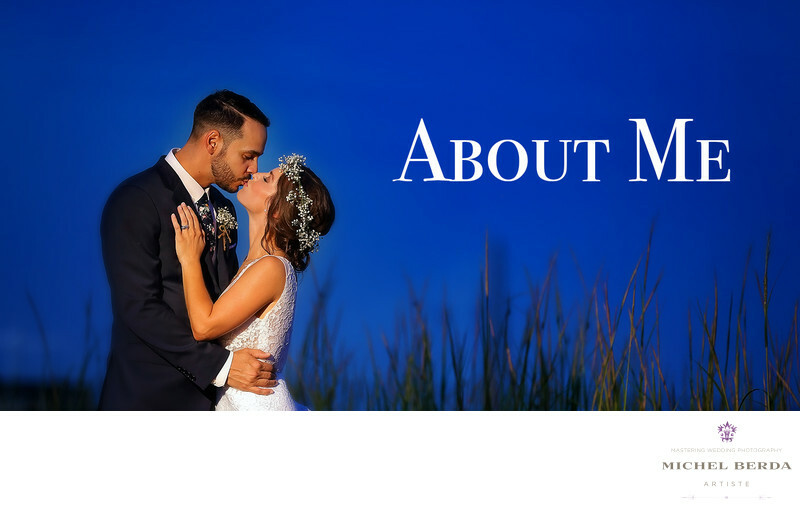 More importantly I have earned by my clients reviews on numerous website including Google, The Knot, Angie's list, Wedding Photo Love, I have also received the highest accomplishment award by the top rated wedding industry company Wedding Wire, besides being the 2015-2017 Couple's Choice Award for my 113 wedding clients reviews, and now The Black Badge Award with my 4.9 glowing star reviews for my impeccable service in wedding photography. Being based in Charleston, SC – the 2nd largest destination wedding on the East Coast, I am grateful for being one of the busiest destination wedding photographers in the USA and abroad.